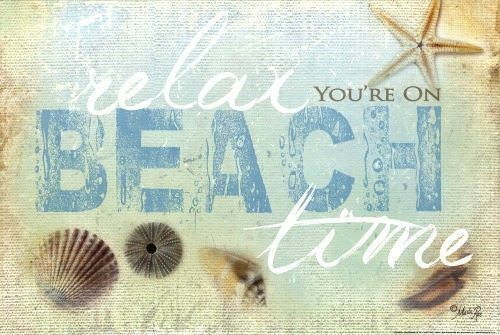 Marla Rae creates all kinds of word art with sayings and quotes to inspire and to encourage, and some of her designs speak to the beach soul. 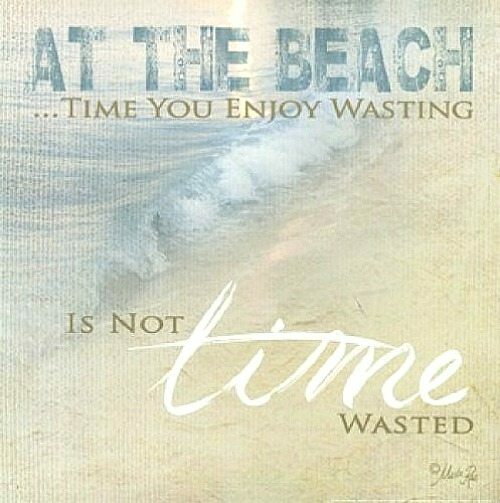 Her philosophy: Life is good at the beach, and no time is ever wasted there! 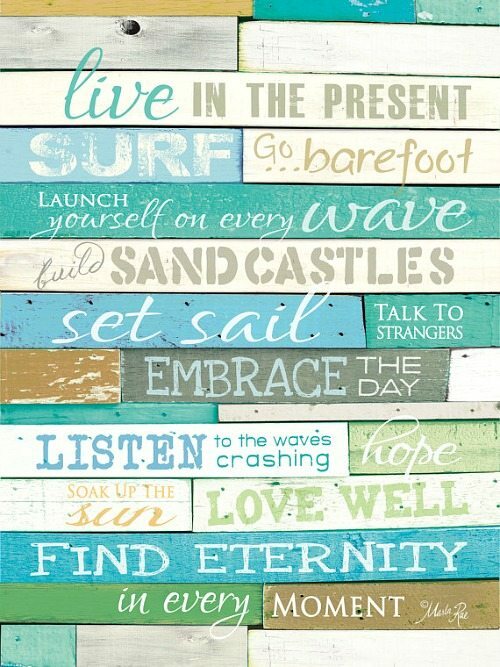 Marla’s version of Beach Rules in a variety of Beachy Colors. 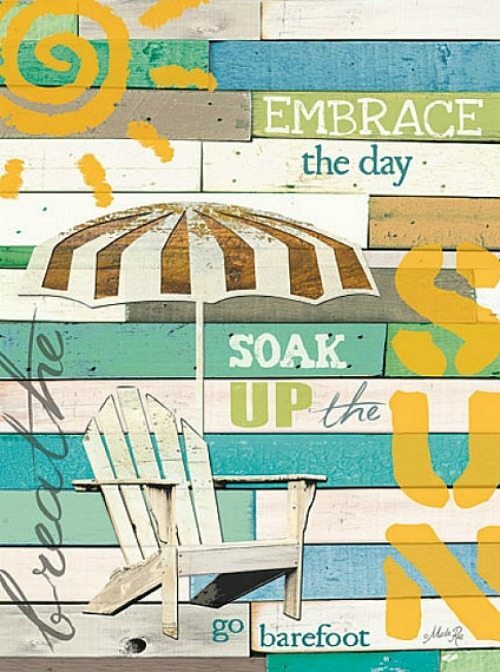 She has several subway style designs like this with prints mounted on wood. 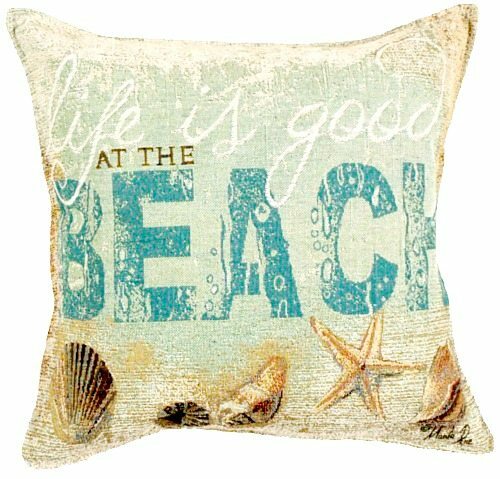 Marla’s Life is Good at the Beach design is also available as a lovely Beach Tapestry Pillow. 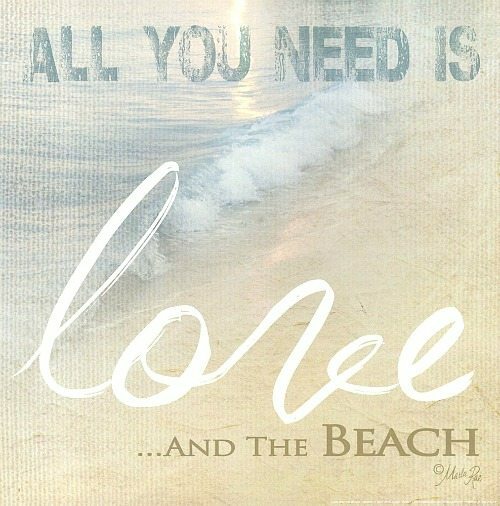 You can find prints of Marla Rae’s beach quote art on Amazon and in her Etsy shop. 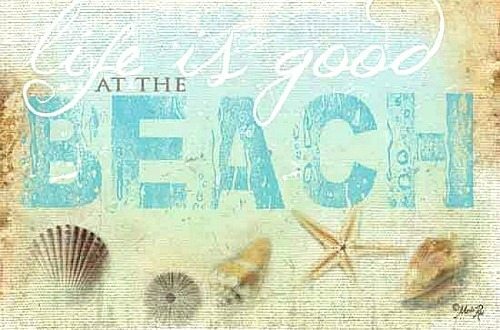 A licensed artist since 2012, Marla has been in the Gift Industry for many years, and she’s come full circle having returned to her artistic roots. Her graphic design background is apparent in all of her beautiful art work. Sandy Gingras, Suzy Toronto, Suzanne Nicoll, and Charlene Olson.